McKee Property Management is one of Imperial Beach’s leading property management and leasing companies. 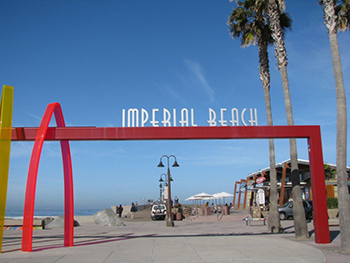 Since 1982 we have helped thousands of Imperial Beach property owners with their management and leasing needs, and we continue to be an industry leader in the markets we serve. We invite you to learn more about us, and our innovative systems that help us rent your property faster. Virtual Tours* - we offer professionally produced virtual tours on selected rental listings. For examples of these tours, visit the McKee Property Management YouTube channel by clicking here. Signage – McKee Property Management has gained the reputation as an industry leader in the Imperial Beach rental market. With over 30 years in the industry, our signature green and blue FOR RENT signs have become a familiar sight around San Diego County. City of Imperial Beach, the most southwesterly city in the continental United States. Flanked by the Pacific Ocean and South San Diego Bay, our town is nestled between miles of uncrowded beaches, big surf and unparalleled open space and wetlands teeming with wildlife. The site of the annual U.S. Open Sand Castle Building Contest, Imperial Beach draws hundreds of thousands of spectators and competitors from around the world each.